You can get Doctor Who or Sherlock mentioned in... The Winter Soldier? The Radio Times have announced a tie-in competition with the new Captain America movie... to get a British or Irish TV show mentioned in Steve Roger's diary. 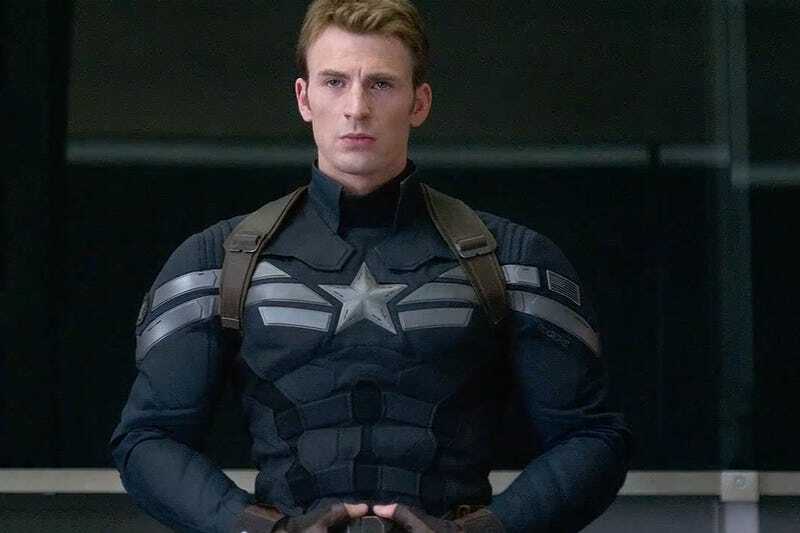 As we know at this point, Cap missed out on a lot of cultural phenomenons while he was frozen in ice between the events of The First Avenger and his reintegration into society in The Avengers - big things like the American civil rights movement, the space race, sure, but also some damn fine Television on both sides of the Atlantic. Naturally, as part of his way of coping with this bizarre new world, Steve apparently wants to catch up with some of it... and that's where you come in. Not gonna lie Cap, that's an, ahem... eclectic mix right there. So, if you want to see Cap yearn to catch up on a bit of TOWIE, or appreciate a bit of the Cumberbatch in his diary, or contemplate wrapping his head around 50 years of police box time travel, head on over to the Radio Times website and vote! Just try to ignore how weird a promotion this is.